Garmin is constantly improving Garmin Connect service. I’m happy to update this simple How to thanks to new version of Connect. 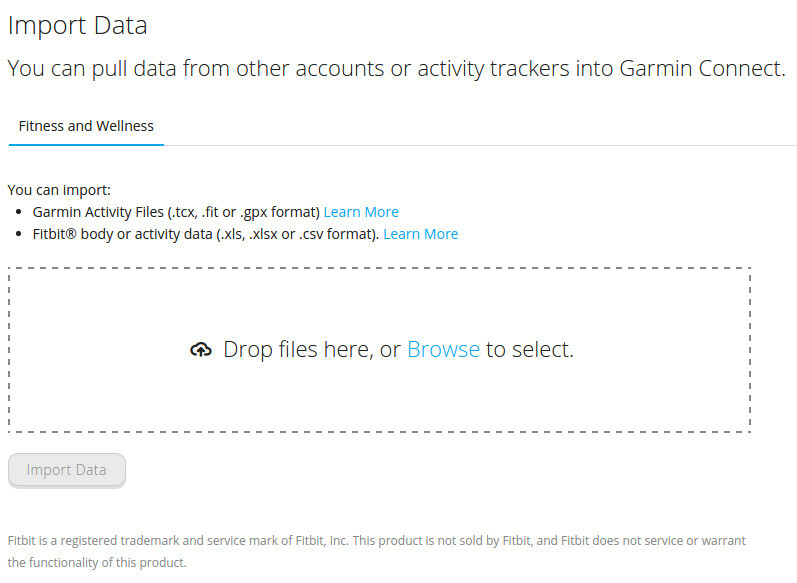 The new version of Garmin Connect makes it simple to upload data. Click the small icon with cloud and arrow in upper right corner and choose Import data. You’ll see screen where you can drag’n’drop multiple files for upload. I was testing SimulANT+ software from www.thisisant.com. Application was working without problem, but document with API was not readable. Only index was visible, but no content. The API documentation is stored in file SimilANT+ Scripting Interface.chm. The problem with CHM content is classical gotcha on Windows. When you download ZIP with CHM then Windows will automatically mark this file as downloaded from Internet. 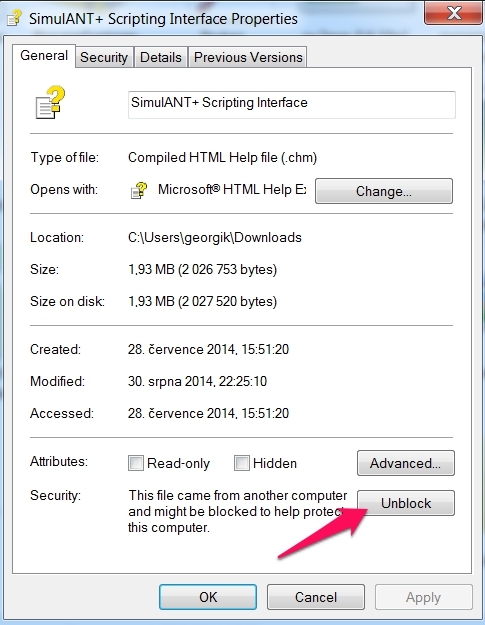 You have to unblock content of file manually. Other alternative is to use 7-zip or other extractor which does not keep this flag.